Back at the start of the season I had a list of the 10 things I was most looking forward to in the 2015 season, this is a look back at how those things panned out. Jay Clyde won the Ninja Kart Champion of Champions as another year comes to a close and another �last day� comes around for many of the stars of the class in recent years become too old to compete in them next season and hopefully find their way into Juniors. Dan Shannon won the ProStock Irish Championship at Tullyroan Oval�s gala night and final night of the season on Saturday night, adding the title to the Irish Open championship that he won at Aghadowey during the Summer Speedweekend. 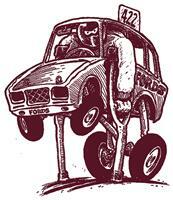 Dave Haugh won the 2L National Bangers Irish Championship on the night too. Del McLaughlin won the Thunder Rod Irish title at Aghadowey Oval�s Gala night and final meeting of the season on Friday 30th October. Having already secured the Northern Ireland points title in the Superstox, Denver Grattan added the Irish Championship title on Sunday at Tullyroan, leading home his brother Gary with Jack Gilpin completing the top three. Jack Hazlett won the Ninja Kart Irish Championship at Tullyroan Oval on Sunday while Kieran McIvor won the Unlimited National bangers Nutshaker title for the fifth consecutive time. Jonny Cardwell retained the Stock Rod Irish Championship and Shea Duff won the Junior Productions King of Aghadowey title on Saturday night which seen six classes in action at Aghadowey. Having announced that the weekend�s action in Northern Ireland would be the end of his Superstox career (for now at least), Steven Jackson bowed out in style by winning the Irish Open Championship at Tullyroan. Chris Bradbury won the 55th Superstox Championship of the World at Aghadowey Oval on Saturday night, leading home Stuart Gilchrist and David Frame in a cracking World final. 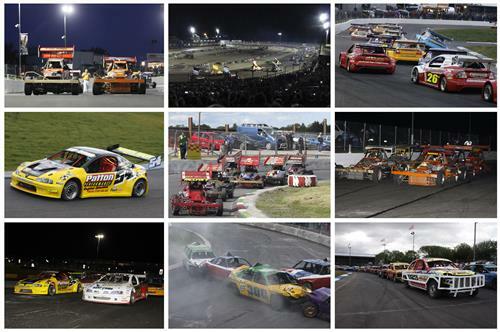 Superstox World Final - NI�s Biggest Meeting this Century! I know what you�re thinking, it�s a grand title and a big big claim to make that it�s the biggest meeting of the century, so let�s take a minute to think about it, what has been staged this century that is bigger? �� done thinking yet? Here are some stats to help, NHR World�. never staged here and probably even if every car on the grid was from NI it still wouldn�t be staged here, 2 Litre World�s are two a penny, Stock Rod�s I wouldn�t be surprised if NI stages two World Finals for them next year (bonkers! ), Lightning Rods have had a few worlds but don�t have a 54 year history with the prestige and heritage of the Superstox. BriSCA F2 World I wouldn�t imagine will ever be anywhere but the mainland and you�ve to go back to the early 90s for the Saloon World coming to NI. So there you have it, the Superstox World Final this weekend will be the biggest meeting this country has staged this century.